Every day I receive dozens of emails. Most of these emails (at least 30) are about Myanmar’s inhuman treatment of the minorities. It is simply depressing to read the sad stories of their extermination, aptly termed the slow-burning genocide by Dr. Maung Zarni, a fellow human rights activist. Who would have thought that in a Buddhist country, run by Suu Kyi, a winner of the Nobel Prize for peace, these unfortunate minorities – mostly Muslims – will continue to be victimized for total annihilation simply because of their different religious and ethnic identity? Obviously, the non-violent messages of Siddhartha Gautam Buddha have miserably failed to humanize the Buddhists of Myanmar. They remain mortgaged to their savage past of extreme intolerance that had terrorized their neighbors for centuries. I am aware that in the post-9/11 era, some world leaders are willing to look the other ways or excuse the inexcusable crimes of Suu Kyi’s government to stopping genocide of the Muslim minorities. But genocide is a serious matter that deserves our serious attention. It would be utterly irresponsible to overlook this grievous crime simply because the country is now run by an elected, popular lady, a practicing Buddhist who was the poster lady for democracy, and not a hated military junta that she successfully replaced. The United Nations in 1948 defined genocide to mean any of the following acts committed with intent to destroy, in whole or in part, a national, ethnic, racial or religious group, including: (a) killing members of the group (b) causing serious bodily or mental harm to members of the group (c) deliberately inflicting on the group conditions of life calculated to bring about its physical destruction in whole or in part (d) imposing measures intended to prevent births within the group (e) forcibly transferring children of the group to another group. As I have repeatedly mentioned since the mid-2000s, what is happening with the minority Muslims in general, and particularly the Rohingyas of Myanmar who mostly live in the Rakhine state (formerly Arakan) bordering Bangladesh, is nothing short of genocide. The overwhelming verdict of the subject matter experts, since at least 2012, is also the same. The destruction of the Rohingya – politically, culturally and economically – is a complete one that is carried out both by Buddhist civilians backed by the state and perpetrated directly by state actors and state institutions. I have been calling it a national project that is scripted and directed by the state since the days of General Ne Win enjoying the full cooperation, collaboration, contribution from, and execution by the Buddhist majority – monks, mobs and the military. 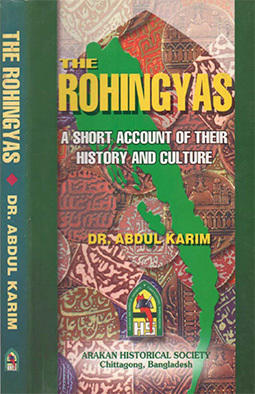 As noted by Dr. Maung Zarni and Alice Cowley in their seminal work “The slow-burning genocide of Myanmar’s Rohingya”, both the State in Myanmar and the local community have committed four out of five acts of genocide as spelled out by the 1948 Convention on the Punishment and Prevention of the Crime of Genocide. What is so disturbing with the on-going genocide of the Rohingya and Muslim minorities in Myanmar is that it is happening in our time, some 69 years after the UN Convention. For the sake of argument, one may find some excuses for the major perpetrators of genocidal crimes of the pre-1948 era saying that they did not know better (this is not to excuse their horrendous crimes!) but what’s the excuse for Suu Kyi and her predecessors within the military? Our human history has repeatedly been tarnished by genocidal crimes of the few. But rarely do we see genocide as a national project with full participation of the all to annihilate the ‘other’ people. And yet, such is the reality in today’s Myanmar. After all, how can we explain the crimes of the Buddhist people and government of Myanmar? For such crimes, I need neither go to the history of ethnic cleansing drives of the 1930s and 1940s of the British era nor even those of the newly independent Burma. Just the current events in the past week are sufficient to understand the monumental crimes of the Buddhist Myanmar against the minority Muslims. In the early hours of Thursday, August 3, a group of about 30 Buddhists armed with sticks and swords attacked the Muslim-majority Sakya Nwe Sin neighborhood in the former royal capital, Mandalay. A local administrator said two young Muslim men were injured. Mandalay residents told Reuters the incident had stirred fears of a repeat of deadly communal violence that hit the same neighborhood in 2014. Mandalay and other central towns have seen sporadic outbreaks of hate crimes against the minority Muslims since Myanmar’s transition from full military rule began in 2011. On Wednesday, August 2, small groups of Buddhist monks with dozens of lay supporters set up two “boycott camps” close to country’s most important Buddhist site, the Shwedagon pagoda, and at a Mandalay pagoda just blocks from scene of the mob attack later that night. Behind banners accusing Suu Kyi’s administration of failing to protect Buddhism, the monks upturned their alms bowls – a traditional symbol of defiance against the country’s rulers. Since Tuesday, August 1, the minority Rohingya community – comprising of some 650 people – living in the village of ‘Zaydi Pyin’ in Rathedaung Township remains surrounded by State-backed Rakhine extremists. Their access to food and to roads, forests and rivers are cut off with barbed wire fences erected by the government-backed extremists, thereby restricting their movement and forcing starvation on them. Unless the blockade is removed immediately many Rohingyas may die. 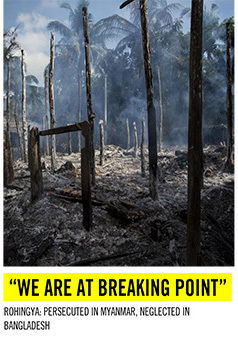 Nearly 1000 Rohingyas died and tens of thousands were displaced in 2012 in Rakhine state. Genocidal violence against the Rohingya people escalated there last year after attacks on border posts allegedly by Rohingya militants. The military operation sent an estimated 75,000 people across the nearby border to Bangladesh, where many gave accounts of serious abuses. A United Nations report issued earlier this year said Myanmar’s security forces had committed mass killings and gang rapes against Rohingya during their campaign against the insurgents, which may amount to crimes against humanity. 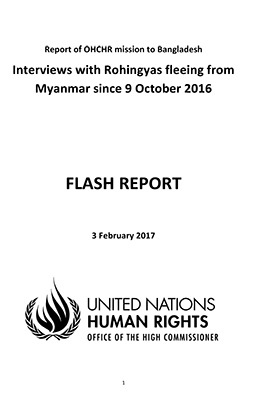 The European Union has similarly proposed the investigation after the U.N. High Commissioner for Human Rights said the army’s operation in the northern part of Rakhine State – where most people are Rohingyas – likely included crimes against humanity. Reuters was among international media escorted to the area last week in a tour closely overseen by security forces. Rohingya women told reporters of husbands and sons arbitrarily detained, and of killings and arson by security forces that broadly match the accounts from refugees in Bangladesh. Typical of genocide deniers, Suu Kyi’s government continues to deny such accusations and says most are fabricated. In several recent cases, local officials have bowed to nationalist pressure to shut down Muslim buildings that they say are operating without official approval. Two madrassas were shuttered in May in Myanmar’s largest city, Yangon. Local media reported the closure of a mosque and another Islamic school in Oatkan, on Yangon’s outskirts, this week. Authorities in Kyaukpadaung, central Myanmar – famed for not accepting non-Buddhist residents – last month agreed to demolish a structure that was falsely suspected of being a mosque. In Myanmar, Rohingyas face extinction. They are denied all the fundamental rights enshrined in the Universal Declaration of Human Rights. Myanmar’s nationality law, approved in 1982, denies Rohingya citizenship. Rohingyas are not recognized among the 134 official ethnicities in Myanmar because authorities see them as illegal immigrants from neighboring Bangladesh. They are subjected to forced labor, have no land rights and are heavily restricted by the government. They have no permission to leave the camps built for them, have no source of income and must rely on the World Food Program to survive, which is often restricted to them. The local Buddhists are forbidden to supply food or do any business with them. We falsely assumed that after the fall of Nazism we shall never again see a repeat of such grievous crimes. The fact, however, is Suu Kyi’s government, like her predecessors, has perfected such criminal policies to wipe out the Rohingya and minority Muslims.